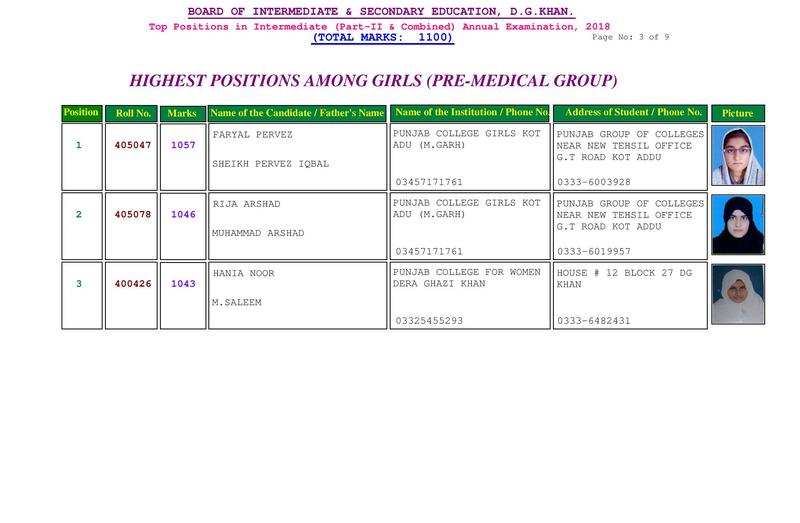 View latest educational results 2019 of class 9th, 10th / Matric / SSC, Intermediate / HSSC / FA / FSc / Inter, 5th / Primary, 8th / Middle, DAE, DBA, D.COM, BA / BBA / BCom / BSc / B.Ed, MA / MSc / MBA / MIT / MCS, MBBA / M.Ed, LLB, Engineering, M.Phil, PhD from all BISE / boards and Universities. *If you could not found your result (rollno, name, father name, class, marks) here, check your result below by downloading result file from respective class / board page at result.pk, we provide result in 4 different ways, including direct at result.pk, sms, downloading file and board site. Board of Intermediate and Secondary Education DG Khan conducts DG Khan Board matric part 2 annual exams in attached schools. BISE DG Khan SSC part 2 result is provided to the students three months after ending of matric class annual exams. 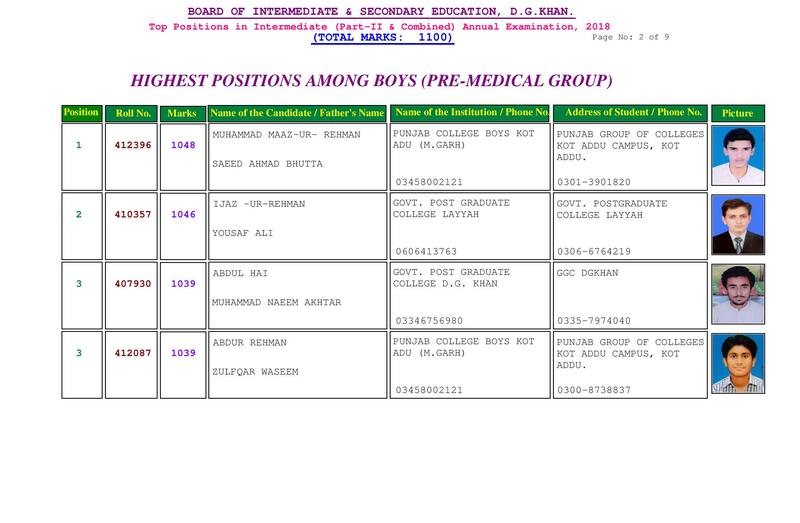 DG Khan Board 10th class result is provided with complete details of the result in all relevant subjects. BISE DG Khan announces matric class result in the month of June after completing the matric class annual exams for the students. BISE DG Khan asks students and teachers to attend the result announcing ceremony, which is being managed in the main auditorium of the board, where BISE DG Khan SSC part 2 result is announced and the names of the position holder students are announced. 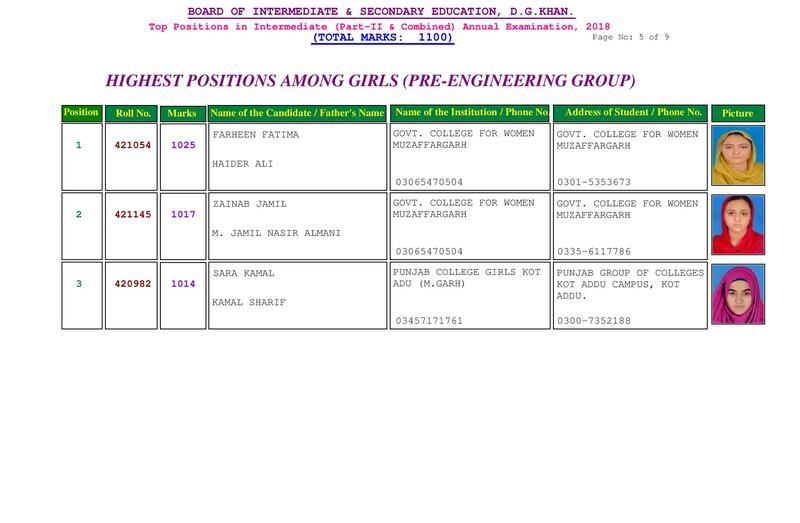 BISE DG Khan 10th class result is announced with complete detail and it is made available on this page for information and facility of the students. DG Khan Board announces annual exams result of matric class and uploads it on this page for the convenience of the students. Comments will be shown after admin approval. Question: What is capital of Pakistan? Spam comments will not be approved at all.